We provide The Nature Conservancy's core global spatial data in GIS and Google Earth KML formats. 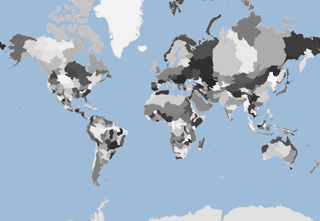 To view a core dataset, click on a map below. This dataset includes The Nature Conservancy's properties / preserves, easements and leases (areas we hold a legal interest in). Boundaries are regularly collected from TNC's US State Chapters and are matched with attributes from our legal database. This dataset is regularly provided to the CBI PAD-US, NCED, and USGS GAP protected area databases, but this dataset provides additional attributes & more frequent updates. Some historic data is included, but the focus is on current holdings. This dataset provides a vision for conservation success for ecological systems, natural communities and species representative of an ecoregion by showing the boundaries of areas that The Nature Conservancy has prioritized for conservation. Many portfolio areas were derived from Ecoregional Assessments, but other priorities derived using other planning methodologies are included in this global dataset. Information on species and habitats within the U.S. portfolio is available via a new interactive web map viewer or a GIS data download. 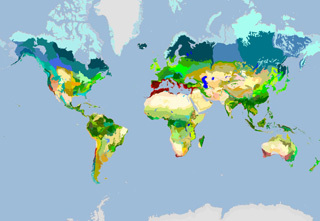 This is the master spatial data layer for TNC's terrestrial ecoregions of the world, exported from the geodatabase listed above. Note that it includes Mangroves, Inland Water, and Rock and Ice MHTs, although they are not being handled by terrestrial assessments. This layer is based on WWF's ecoregions outside the United States, and loosely based on Bailey's ecoregions (from the USDA Forest Service) within the United States. The Freshwater Ecoregions Of the World (FEOW) provide a global biogeographic regionalization of the Earth's freshwater biodiversity. 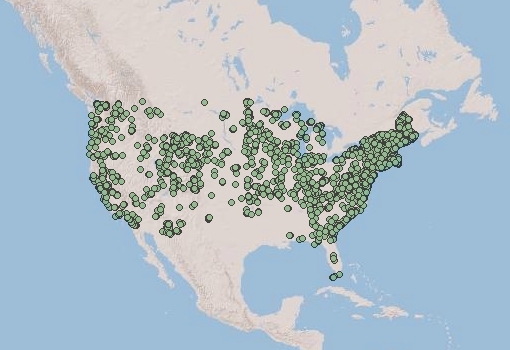 This version of the FEOW, modified by The Nature Conservancy, includes additional tabular data describing Major Habitat Types (MHTs, similar to terrestrial biomes, but unpublished).You can read more about the FEOW, and obtain the unmodified shapefile at www.feow.org. 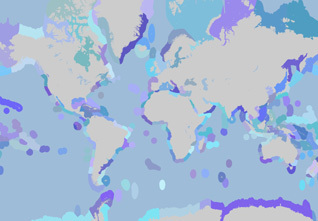 The Marine Ecoregions Of the World (MEOW) data set is a biogeographic classification of the world's coasts and shelves. The ecoregions nest within the broader biogeographic tiers of Realms and Provinces. Further details about the MEOW system and PDFs of the BioScience paper the comprehensive listing of sources are available from www.worldwildlife.org/MEOW/ and www.nature.org/MEOW. GIS data: Data are available in shapefile and ArcGIS geodatabase formats. Advanced formats Advanced formats do not let you manipulate the data - they simply give you a way to view the data on our server in your program or application. REST format is available for those interested in adding TNC data to your web mapping application. The data listed at left are suitable for public use. Staff of The Nature Conservancy should contact Jim Platt to learn additional ways to access the Conservancy's internal information or visit our intranet page. You can show these map services in your own application if you like; the only condition being that The Nature Conservancy is listed as the author, you are using the data for noncommercial purposes, and you don't alter them in any way.